We told you about Scion’s ‘The Big Idea’ exhibition opening this Saturday June 25, 2011 in L.A, which showcases a roster of art directors, illustrators and graphic designers, and their interpretation of visual communication in artistic form. Claudio Parentela is an illustrator, painter, photographer, mail artist, cartoonist, collagist, and freelance journalist, and has been active in the international underground scene for many years. He has collaborated with magazines of contemporary art, literary and of comics in Italy and around the world, including NY Arts Magazine, Turntable & Blue Light Magazine, Komix, LitChaos, Why Vandalism, Thieves Jargon, 180 Mag, Braintwisting, and The Doors of Creativity Anthology. Here are some of his pieces and our Q & A with the artist. Where in Italy do you reside? In South Italy…in Calabria (my region)…in Catanzaro (my city). 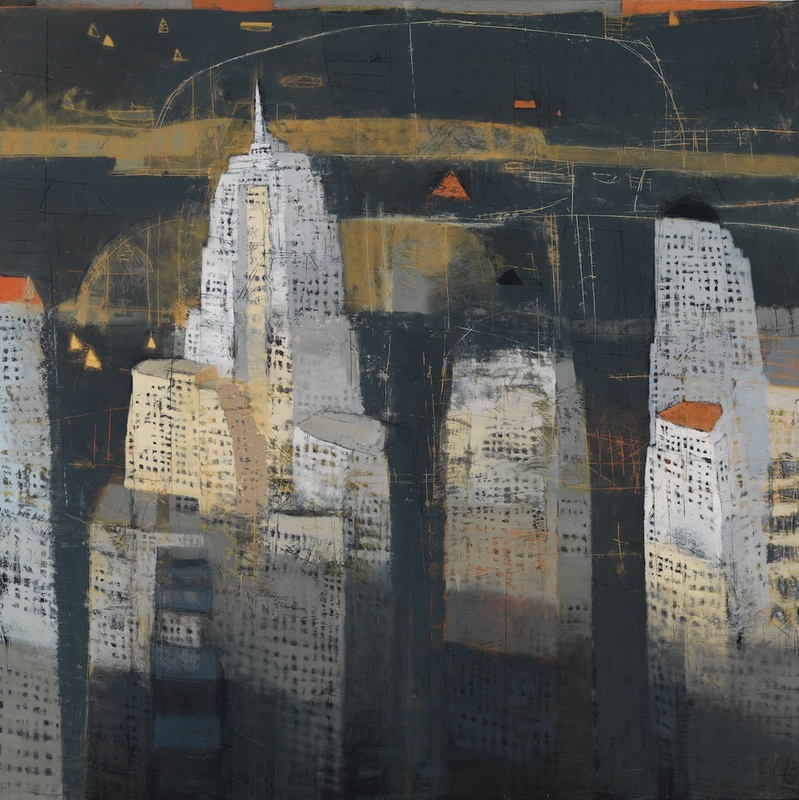 After traveling the globe illustrating, painting, and teaching, Paul Balmer fell in love with the energy of New York City and decided to make it his home. Working out of his Soho studio, Balmer paints the city from a perspective influenced by his South African roots and his love of abstract expressionism. We had the opportunity to chat with Balmer and find out more about this talented artist and what inspires him. I was born in South Africa and at the age of 17 I moved to Australia. There is a similarity of landscape and color in both places as well as a strong “tribal” art culture which influences my work still. You’re originally form South Africa and moved on to Sydney for school, then after traveling the globe working, you ultimately settled in New York. What attracted you into moving to New York City? New York has always held a certain fascination for me and a place I had to experience. One of my favorite periods in art is the Abstract expressionist movement and many of my favorite artists lived here / Rauschenberg, de Kooning, Motherwell, Franz Kline and Pollock. Soho seemed to be the right place for a studio with the hopes of brushing up against some of that history. Basquiat happens to be one of my all time favorites too. 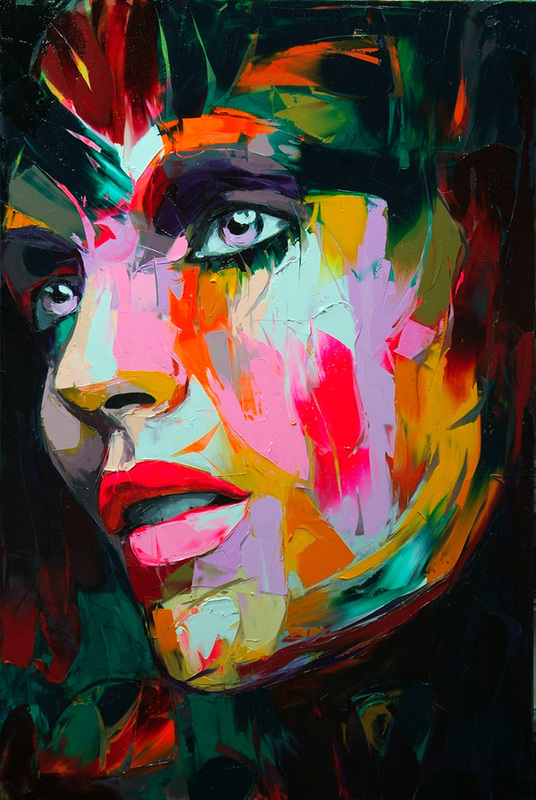 Françoise Nielly’s paintings in eye-popping color are skillfully mastered with oil and knife and simply transcend the definitive mindset of portrait painting. Pink, purple, bright orange, and lime green daubs collectively form brilliant renditions of the human face. 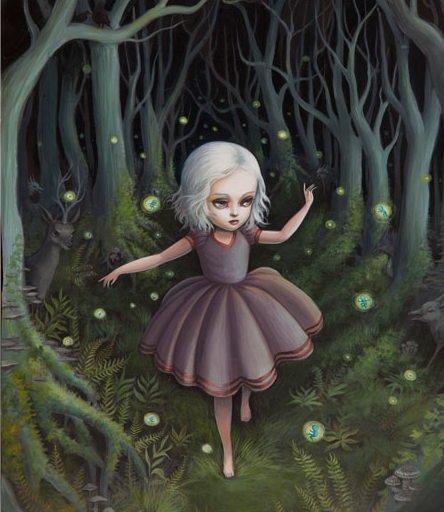 Here are some of her new works for 2011. Dublin-based Italian artist and illustrator, Mario Sughi aka nerosunero, will be exhibiting his series of new works in a solo exhibition, ‘Couple”, at The Complex Gallery in Dublin. His pieces as we stated in our interview article with illustrator Mario Sughi last year, captures light and shadow, with the delicate application of eye-popping color reminiscent of vector art. His subjects are seemingly involved in everyday ordinary encounters, but this transforms into something much more intriguing upon further inspection. The opening reception is on June 23rd and the exhibit runs till June 30, 2011.